Obscura Digital designed the Rock Wall so that up to six guests have their own personal viewing and sound zones. Duncan/Channon and Vertigo developed a custom memorabilia app for Microsoft Surface, a multi-touch, multi-user interactive tabletop. The Rock Wall's 6,000-pixel screen can stream high-resolution photos and video at 60 frames per second, twice the refresh rate of television. 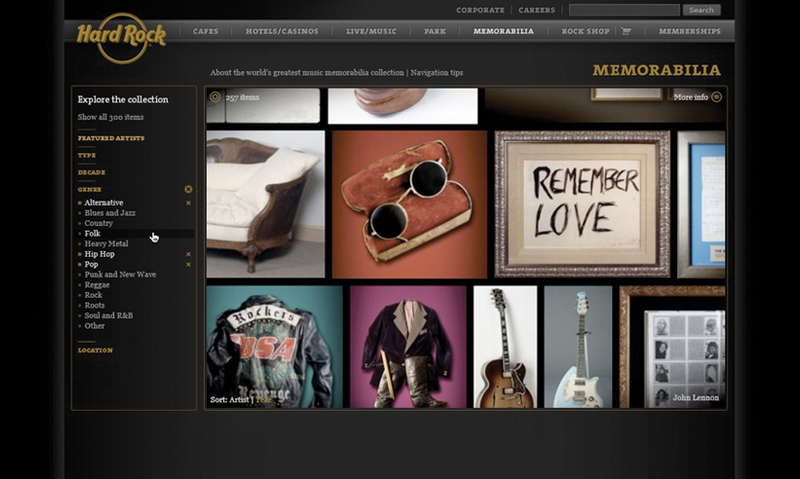 All the interactives connect back to Hard Rock's award-winning memorabilia website, created by Duncan/Channon. With much of the archive already being digitized for its memorabilia website, Hard Rock’s next obvious step was to create ways for guests to engage with the larger collection no matter which location they were visiting. Working with a team of hardware and software development partners as well as their own technology, property-development, and memorabilia staff, Hard Rock recently rolled out three interactive elements—a massive touchscreen “Rock Wall” display, custom applications for Microsoft Surface, and a smaller table-side interface—that get guests up close and personal with the memorabilia. 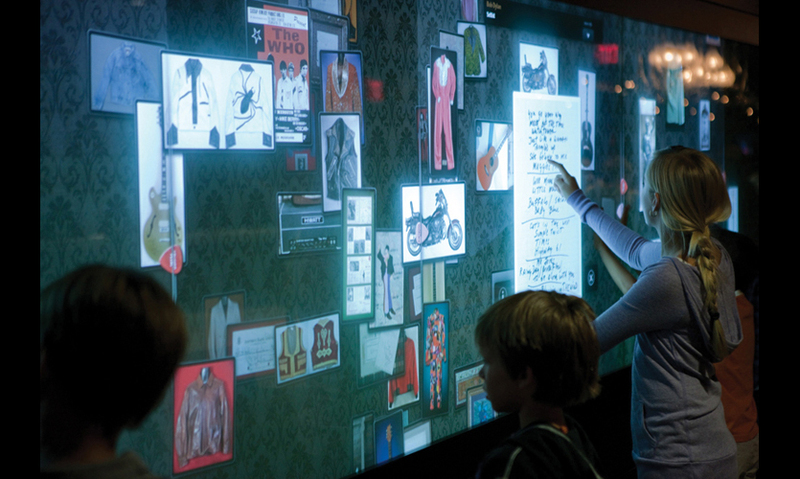 “Now we can show off a greater degree of rock ’n’ roll history, all controlled by the guests who can select what they want to see and hear," says Gregory Thomas, general manager of the new flagship Hard Rock Cafe on the Las Vegas Strip, the first of several sites for the new interactives. 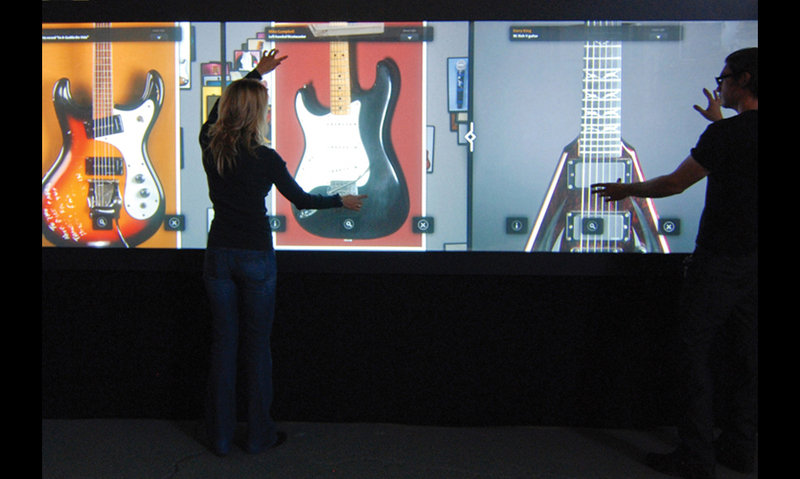 Created by Obscura Digital (San Francisco) with Technomedia Solutions (Orlando), the Rock Wall is a custom, 4-ft.-tall by 18-ft.-wide interactive display that allows up to six Hard Rock guests to explore the memorabilia collection simultaneously. Obscura is now working on version 2.0 of the Rock Wall, which will tie in Hard Rock’s social networking elements, including Facebook, Twitter, and Flickr. In addition to the flagship Las Vegas cafe, Rock Walls have been installed in Orlando, Seattle, Los Angeles and Berlin. 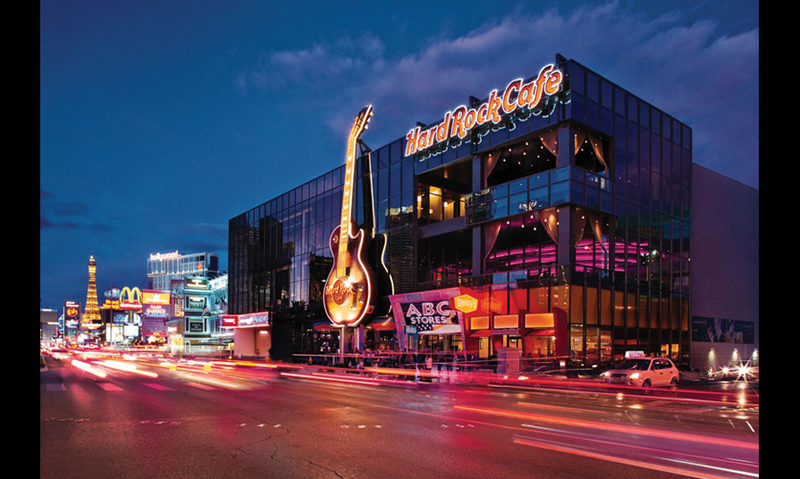 It has been so popular with guests that Hard Rock is expanding its deployment with a smaller version, a 52-in. display called the Rock Wall Solo that will soon be going into an additional 16 Hard Rock Cafes throughout the U.S. and Europe. 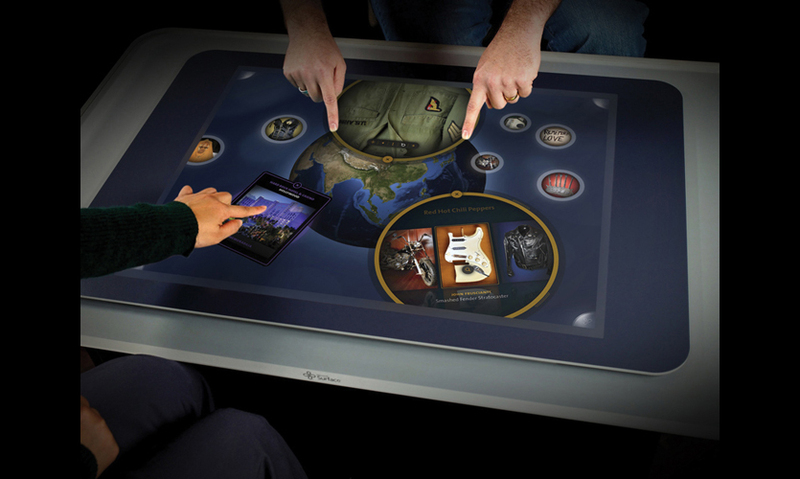 Using Microsoft Surface, a multi-touch tabletop that allows users to manipulate digital content using gesture recognition, Duncan/Channon, their software development partner Vertigo (Point Richmond, CA) and Hard Rock’s internal team created apps that allow Hard Rock guests to access the memorabilia collection, explore Hard Rock’s worldwide locations, play rock-themed games, and view historic rock ’n’ roll video clips, to name a few. But even for shy guests, the rich content is hard to resist. The Microsoft platform is also built for quick development and deployment of new applications and content, ensuring that Hard Rock can quickly roll out fresh features or entirely new applications to any of these interfaces around the world. 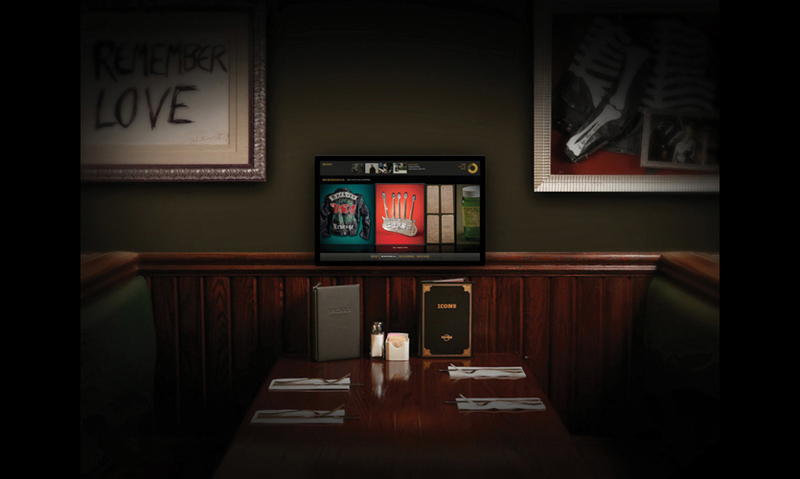 As a fresh take on the classic, table-side jukebox, Duncan/Channon, Vertigo, and Hard Rock also created a touch-enabled interface they call the Booth Interactive. 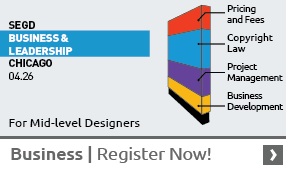 Designed to include additional features over time, the interface gives guests access to three custom applications right from their Cafe tables. Music mode allows quests to review and vote on the music playing in the restaurant. 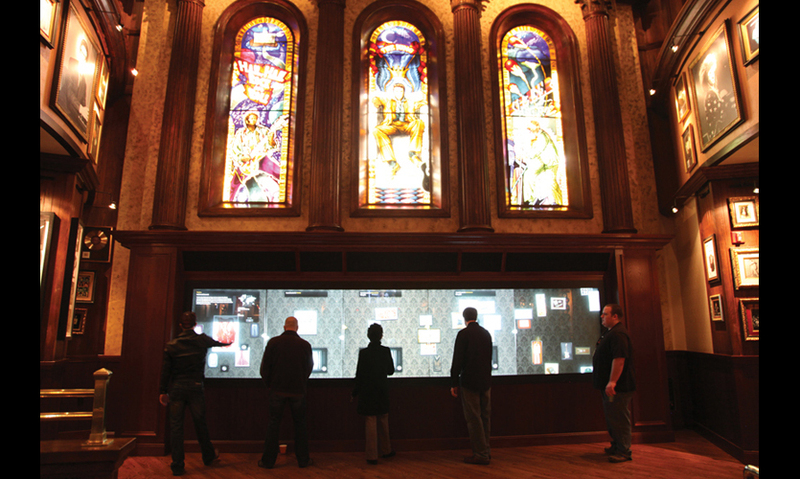 Guests can find memorabilia related to the music being played or explore the entire collection based on their own interests. 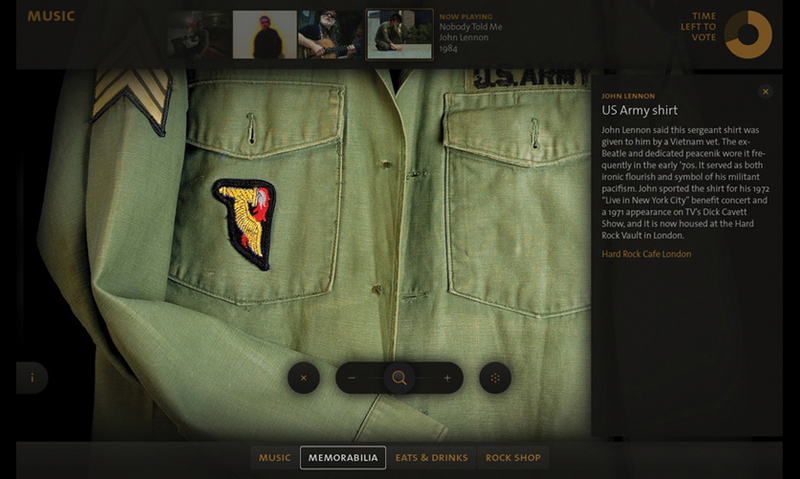 And Rock Shop mode is designed for browsing and exploring the stories behind Hard Rock merchandise. The units have been installed in 38 booths at the flagship Las Vegas location, as well as in Dallas and Nashville. 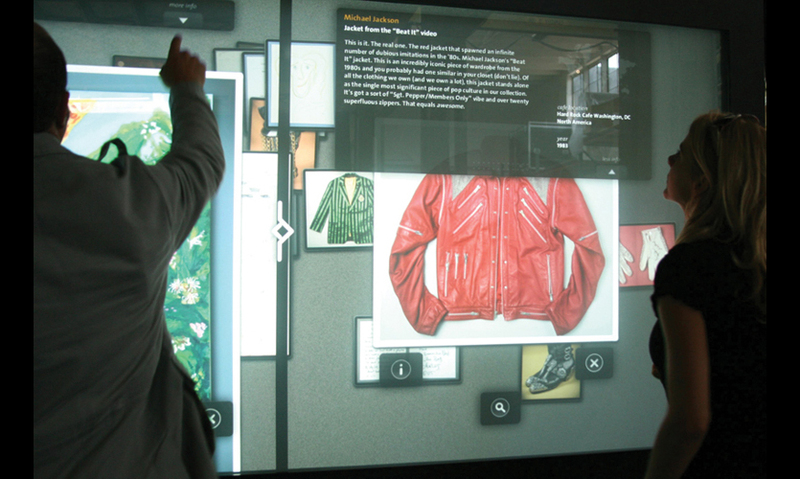 Using the application, guests can explore Hard Rock memorabilia, review and purchase Rock Shop merchandise, and vote on what video plays next in the cafe. Behind the scenes, Hard Rock runs a robust video system coordinating music and video displays across all cafes, hotels, casinos, and live venues worldwide. 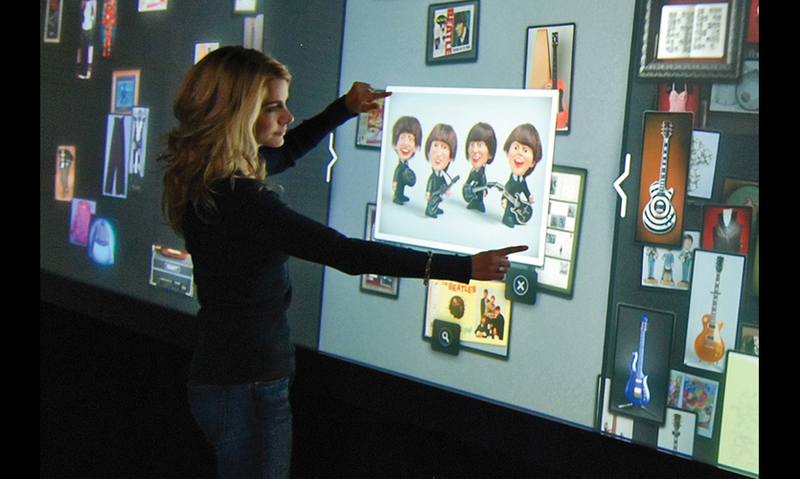 The new interactives provide Hard Rock with three new ways to engage their guests and promote the Hard Rock experience. 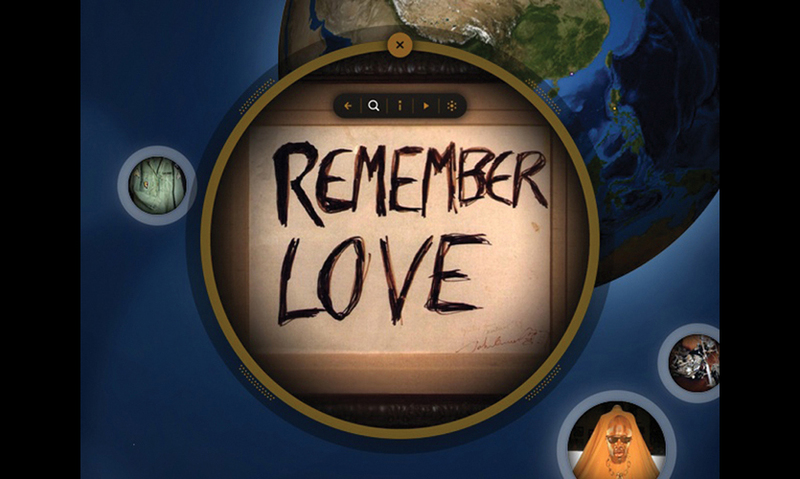 All of the interfaces connect back to Hard Rock’s rich and flexible database and change constantly as new items are added to the virtual museum. The location of the Rock Wall and the other interactives within the Cafe was a strategic decision, notes Sconyers, based largely on keeping guests happy while they’re waiting to be seated. In a typical Hard Rock Cafe on a busy night, he points out, waiting times can average 45 to 90 minutes. Editor's note: Louis M. Brill ([email protected]) is a journalist and consultant for high-tech entertainment and media communications.